Since 1971, when the Pentagon Papers were leaked to the New York Times and furious debate over First Amendment rights ensued, free-speech cases have emerged in rapid succession. 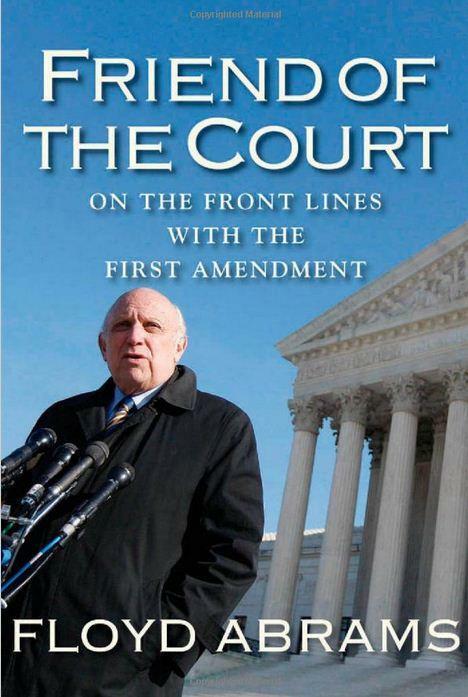 Floyd Abrams has been on the front lines of nearly every one of these major cases, which is also to say that, more than any other person, he has forged this country’s legal understanding of free speech. For a nation steeped in adherence to the prohibition of enforced religious belief and impenetrable separation of church and state, as Supreme Court Justice Hugo Black: affirmed in 1947: “The First Amendment has erected a wall between church and state. That wall must be kept high and impregnable……” (Everson v Bd of Ed’n). Political paladins of various organized religions seem to have been bent on subverting and rescinding it, in favor of one or another preferred religious belief, ever since. That bent seems more prevalent today, than at any time since its adoption. We speak with Akhil Reed Amar about his new book, America's Unwritten Constitution: The Precedents and Principles We Live By. Akhil Reed Amar is Sterling Professor of Law and Political Science at Yale University, and periodically serves as a visiting professor at Harvard, Columbia, and Pepperdine Law Schools. No freemen shall be taken or imprisoned … or in any way destroyed … except by the lawful judgment of his peers or by the law of the land.